Most companies keep email on a short leash. 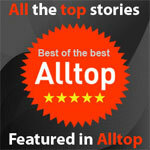 It is used to promote products and allowed to provide order status updates on a limited basis. Promotional messages almost always include discounted pricing. Transactional updates are limited to order confirmations and shipping information. Emails can do much more than advertise sales and deliver facts. 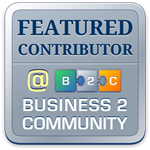 They can supercharge your company’s growth and profitability. 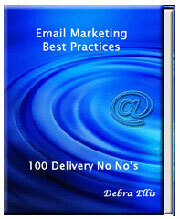 Email provides a low cost way to communicate with customers and prospects. It delivers a positive return every time a promotional message is sent to subscribers. The low cost and guaranteed returned keeps many marketers from moving beyond the status quo. After all, it is working well. Why invest effort in doing more? Relationship marketing is becoming more critical. The introduction of Gmail’s new inbox is the first step down a slippery slope for companies that do not have strong relationships with their customers. The effectiveness of their email marketing will steadily decline when people have to make an effort to see promotional messages and status updates. Now is the time to update your email marketing so it doesn’t fail to deliver. Acquisition – Are your prospects receiving the same messages as your customers? Prospects and customers have different motivations. Target the people who haven’t converted with information and opportunities designed to move them into the sales funnel. Start with the welcome email and continue with a series until all resistance is removed. Retention – Keeping customers coming back is a top priority. Use email to let people know how much they are appreciated, keep them informed about new trends, and educate them on how to best use your products and services. The more they know about how your company can serve them, the more likely they will remain loyal. Sales – Promotional emails deliver sales. Emails designed to solve problems and make life easier (or more fun) deliver more profitable sales. Use buying behavior and preferences to create irresistible messages that move products and services at full price. Service – Make transactional emails work better by using them to serve your customers. People are incredibly busy. The companies that simplify the buying decision and make problem resolution easy own their customers. Competitors will find it virtually impossible to pry them away. Use emails to communicate with customers on a regular basis. Integration – Interacting with companies is a multichannel experience today. Emails help leverage the strengths of one channel to offset the weaknesses of another. They also cross devices making it easy to stay in touch with customers and prospects on the go. Creating an integrated email strategy that crosses channels and departments isn’t as hard as one might think. It starts with optimizing outgoing messages and then builds on successes until it has evolved into a comprehensive program. 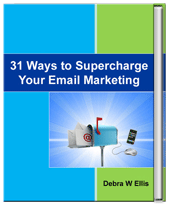 For specific tips on how to optimize messages and examples of what other companies are doing, check out 31 Ways to Supercharge Your Email Marketing.